Why DO We Add That ZERO?! In our blog ‘Math: The Importance of Why’, we highlighted several math concepts that students often find puzzling. 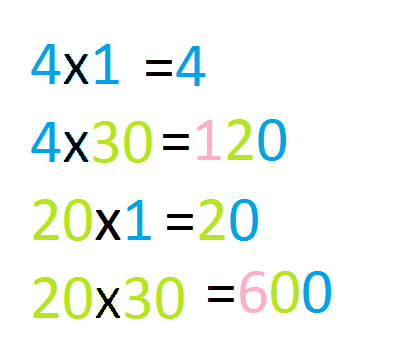 As promised, here is a closer look at one of those tricky ideas: place value, and ‘why we add the zero’ in multiplication multi-digit problems. One of the reasons students find multiplication difficult is that they are memorizing procedure without actually understanding what the steps represent. 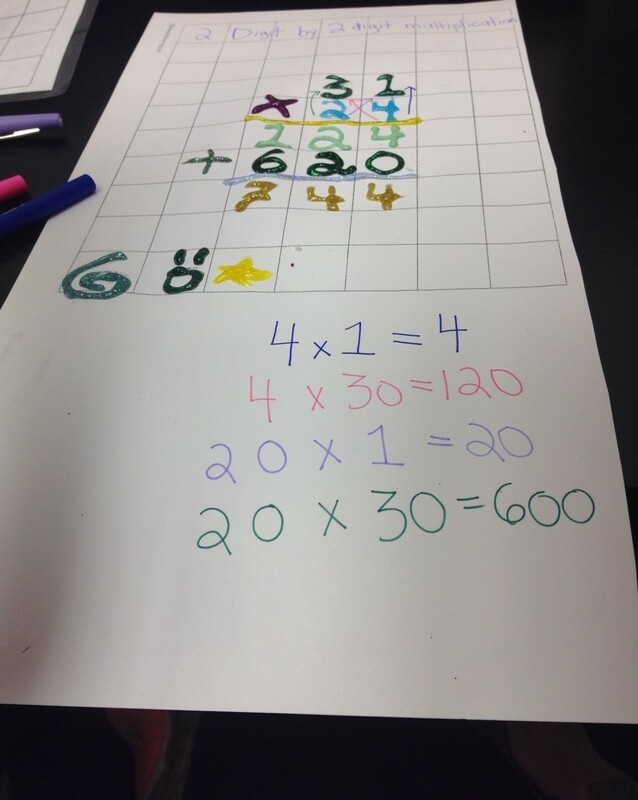 Breaking down the ‘short cuts’ in the standard way most are taught multi-digit multiplication helps students understand the process, and lessen frustration for the many that need to know the ‘why’ behind what they are doing. Notice that we have colour coded the numbers to help students remember that the numbers represent a particular place value. As students learn the standard algorithm to solve this problem, have them write out what each step actually represents below, connecting the ‘short cut’ to the digits’ actual place value. 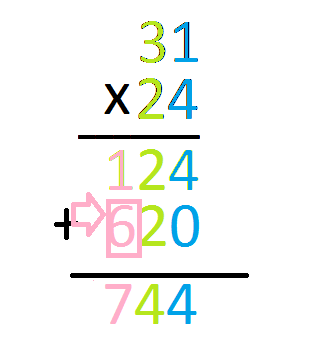 By doing this, they are able to see that when they move on to the second step of the question (and into the tens column), they are no longer multiplying one digit numbers. Therefore, they will write ‘2-zero’ on the second line because they now have 2 groups of ten and zero ones. This is where adding the zero comes from! Without blocking off the ones column with a zero, the answer to 20 x 1 in this question would look like ‘2’, since the 2 would be in the ones column. Next, they will multiply 20 x 30, equaling 600, which we know has six groups of one hundred, zero tens, and zero ones. 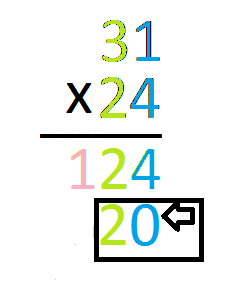 The short cut of course is to simply multiply 2 by 3, and write the 6 in the hundreds column. Then, have them add their products and solve for their final answer. Having students develop this sort of procedural fluency enables them to understand the short cuts that they are taking when working with numbers and apply procedures more confidently and flexibly. Stay tuned for more answers to those tricky why questions! For more information on how to support math fluency and understanding, or for one-to-one support in math, contact Ruth Rumack’s Learning Space at 416.925.1225 or visit www.ruthrumack.com.